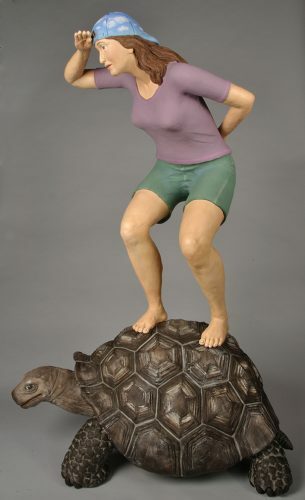 Explore the expressive potential of sculpting the figure in clay! Students will work primarily from live models and their imaginations, but may also reference historical and contemporary figurative work. Projects can include portrait busts, small figures, body fragments, and fantastic alterations of the figure. 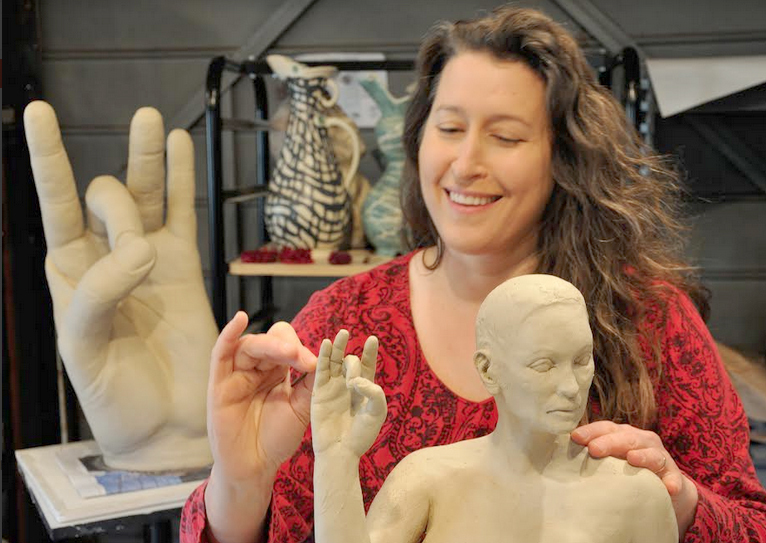 This one-day workshop will focus on working in solid clay, and will begin with our preparation of an armature (support structure) and a discussion of human anatomy and proportion. During our session with the live art model, your instructor will offer feedback, sculpting tips, and mini-demonstrations. The workshop concludes with special instructions for finishing your sculpture at home, including techniques for hollowing out your sculpture and recommendations for surface finishes. Local ceramic supplier, Phoenix Ceramics, has kiln services available for students wishing to fire their sculptures. All skills levels are welcome! Please bring a lunch, drink, and/or snacks. Award-winning sculptor, potter and 2014-2015 Fulbright-Nehru Scholar to India, Cynthia Siegel exhibits her work internationally, receiving awards at the Taiwan Ceramics Biennale and the Cheongju International Craft Biennale. Ms. Siegel has presented lectures and workshops in India, Israel, Taiwan, China, New Zealand, and the U.S. Her undergraduate degree is from the University of Pennsylvania and her MFA degree is from San Jose State University. Ms. Siegel lives and works in Santa Cruz, CA, and currently teaches at Cabrillo College. Additional Instructions: Bring a lunch.